Pennsylvania Landscape & Nursery Association (PLNA) member, ThinkGreen, LLC, lands one of three 2014 Land Ethics Awards as co-designer of Haverford's Township's Haverford Reserve Community Recreation & Environmental Education Center. The award was accepted by ThinkGreen, LLC, represented by Peter Johnson and Tom Johnston, at the Bowman's Hill Wildflower Preserve's 14th Annual Land Ethics Symposium. The Land Ethics Award is a way to recognize excellence in sustainable ecological design. The award honors and recognizes individuals, organizations, government agencies, community groups and business professionals who have made significant contributions to the promotion of native plants and have exhibited a strong land ethic while promoting sustainable designs that protect the environment. What was impressive was the large scope of this project and the importance attached to environmental design parameters. This LEED certified building touches the land lightly and its sustainable design features infiltration basins, native meadows and vegetated native plant swales that result in capturing nearly 100% of the site's storm water. We were also incredibly impressed with not only the building's wonderful functional design but with the sheer beauty of the facility itself; it is literally breath-taking. Please join PLNA in Congratulating ThinkGreen, LLC on their 2014 Land Ethics Award! Comments can be entered below or you may contact them directly. 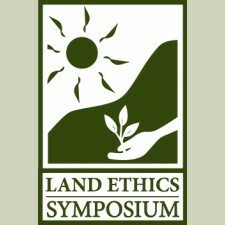 Click the links to learn more about ThinkGreen, LLC, Bowman's Hill Wildflower Preserve's Land Ethics Symposium or the Land Ethics Awards.